A while ago (in fact almost a year ago now!) I wrote about how we had decided to change our dining room/second living room into a playroom for Isabella - you can read the post here. 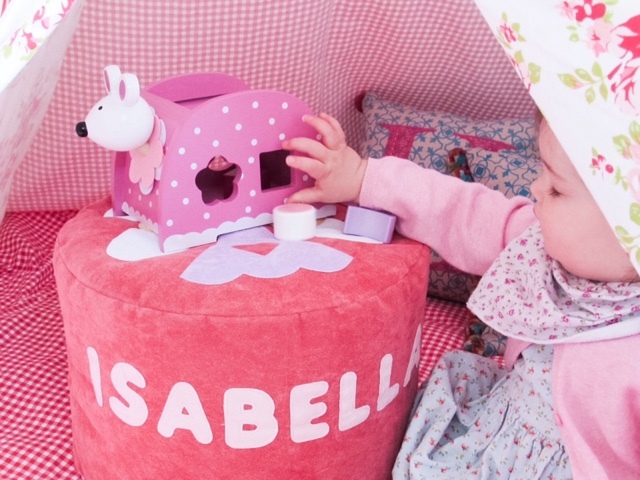 It would be an area we could store Isabella's toys, make it baby safe and set up fun activities. Looking back I really wish I had set up the playroom while I was still pregnant because setting up a room with a toddler waddling around isn't easy! Isabella, like almost all children, enjoys making a mess and isn't so good at tidying it back up again. Having said that as her comprehension improves she is beginning to follow instructions to put specific toys away. 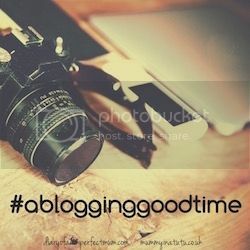 I guess the playroom is the place she can make as much mess as she likes, but the neat/tidy/photograph taker in me wants it to look Instagram ready at all times....as if. 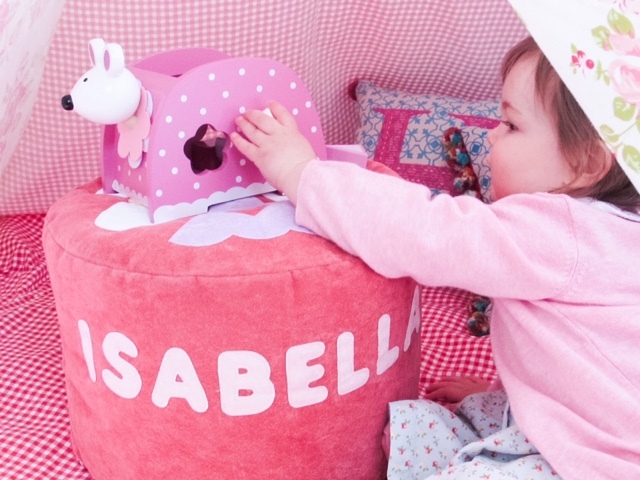 I've absolutely loved filling Isabella's playroom with cute toys, accessories and storage, which all help to make it look pretty while still being lots of fun. We've had the Floral Wigwam Teepee Tent from Allsorts Shop (£64.99) for months and months now, but it's only recently that Isabella as started to enjoy playing in it. It's now in the centre of her playroom, so she can walk/crawl in and out of it whenever she likes. We enjoy reading book in there together, playing games, completing puzzles and having indoor picnics. It's also perfect for storing loads of toys in, you can shut the 'doors' and the mess is nowhere to be seen! 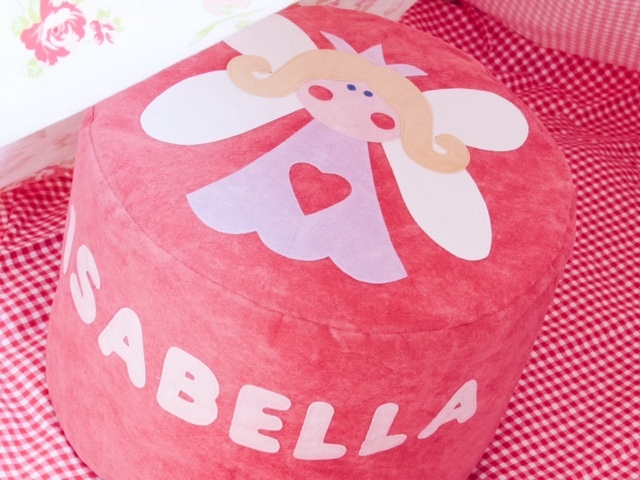 Another multifunctional and beautiful addition to Isabella's playroom has been this Personalised Florence Fairy Bean Bag* from Teeny Beanies (£35). Teeny Beanies have such a cute range of character's to choose from, including: Woolly Sheep, Bernie Bunny, Melvin Monkey, Horace Horse, Bumble Bee, Henry Hippo, Peggy Pig, Digby Dog, Dotty Ladybird, Dizzy Dinosaur, Claude Cat and Edmund Elephant. 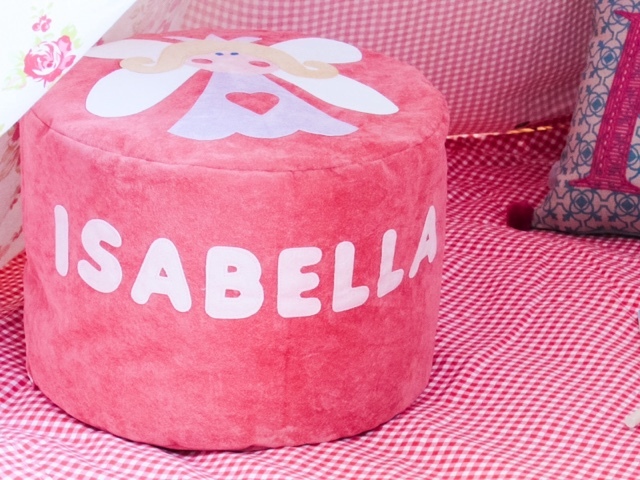 I love that you can have the bean bags personalised with a child's name, it would make such a thoughtful gift for a lucky girl or boy. The quality is outstanding, with extra details not over looked, such as the fact that the zips are inverted for extra safety and that the bean bag filling is secured inside an inner bag too. 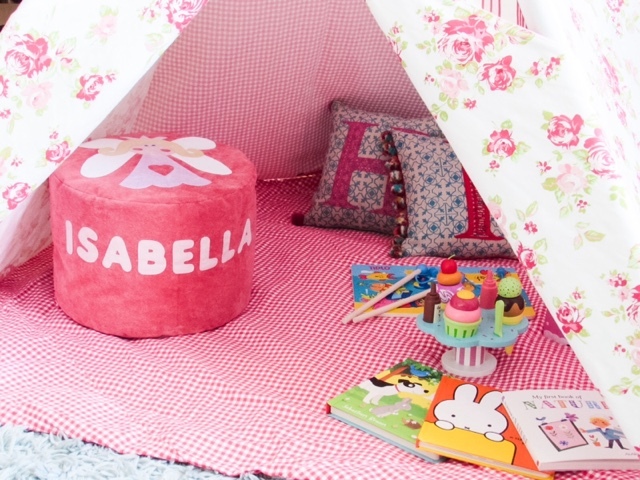 We use the Teeny Beanies Bean Bag as a little table because it fits perfectly inside the wigwam and makes it easier for me to play games with Isabella too - leaning over too much starts to really hurt my back! 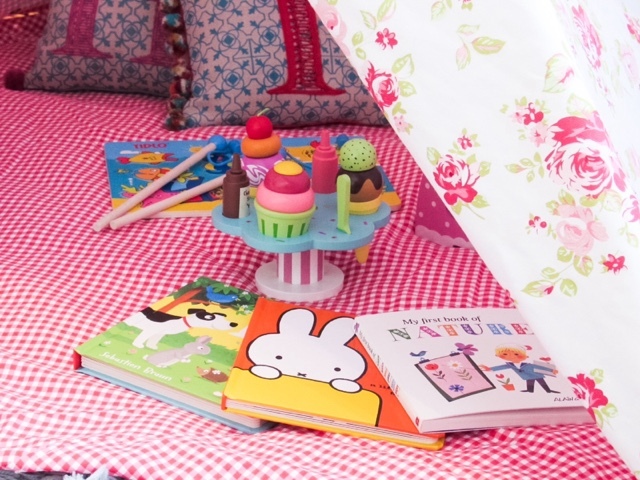 We also pop a small table cloth/tea towel over it to create the perfect toddler size table for an indoor picnic - Isabella loves sitting at the 'table' like a grown up. I'm also looking forward to the time when we can start using the letters on the side of the bean bag to support letter recognition and then eventually learning to spell her own name. 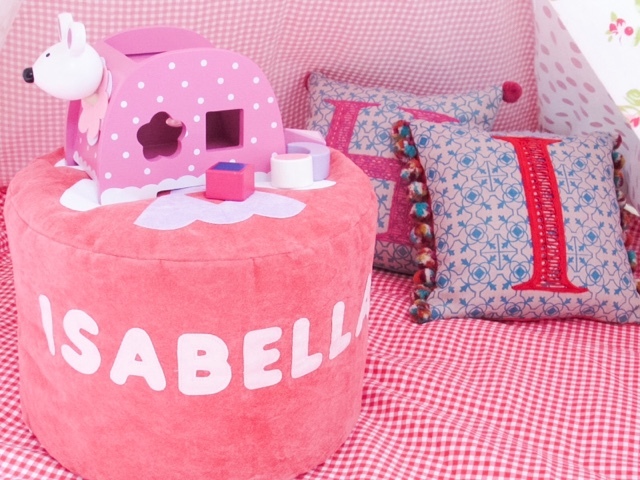 Where's your favourite place to buy pretty playroom accessories? Ahh I love a playroom. This is so cute! The bean bag is adorable and definitely makes the room. Perfect for little tea parties!